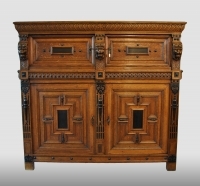 Isphording Antiques is specialised in 17th, 18th and early 19th century Dutch, English and German furniture, bronze, pewterware and mirrors, with the focus on a remarkable collection of 17th century Dutch cupboards. For more article and detail pictures look at www.isphording.nl !!! 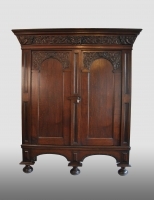 Dutch cupboard, oak, second half 17th century. Dutch pewter tobacco box made by : B. Post 1777. 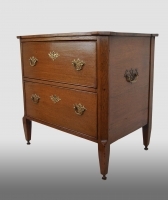 English chest, oak, 17th century. 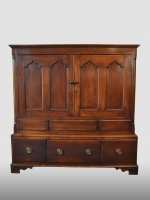 English potboard dresser, made of oak with mahogany. 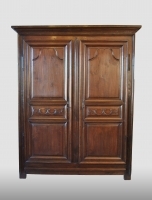 French cupboard with two doors, 18th century. 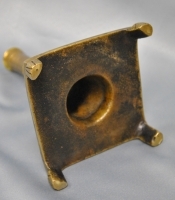 Spanish candlestick on square base. 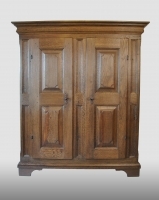 German cupboard, oak. First half 18th century. 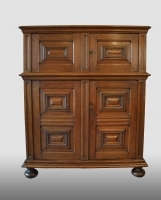 Small renaissance Dutch cupboard, oak. Jacoba jug, Siegburg Germany, about 1400. Pewter Swiss tankard, about 1800. German stoneware jug, Westerwald, 17th century.